Quintessential Brands has expanded The Dubliner range with the release of a limited edition 10 Year Old single malt expression. Distilled in copper pot stills and matured in oak casks that previously held Kentucky Bourbon, The Dubliner 10 Year Old follows the launch of a no-age-statement expression which was unveiled in June last year. The expression is said to have a “sweet, slightly spicy aroma with overtones of vanilla, honey and perfume”, and on the palate a “rich, malty flavour with a smoothness and warmth at the end and a hint of chocolate and vanilla”. Sinead O’ Frighil, Irish whiskies marketing manager at Quintessential Brands, said: “The Dubliner Irish Whiskey has had an incredible start launching at Dublin Airport last year and sales to date in Ireland, Australia and the USA have been really encouraging. We are delighted to be introducing this limited edition expression to The Dubliner range. 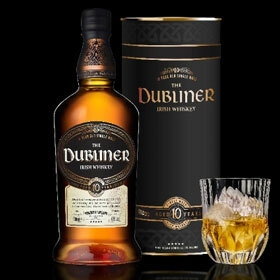 The Dubliner 10 Year Old is bottled at 42% abv and will be available at an RRP of £50 from Dublin Airport and specialist whisky retailers.